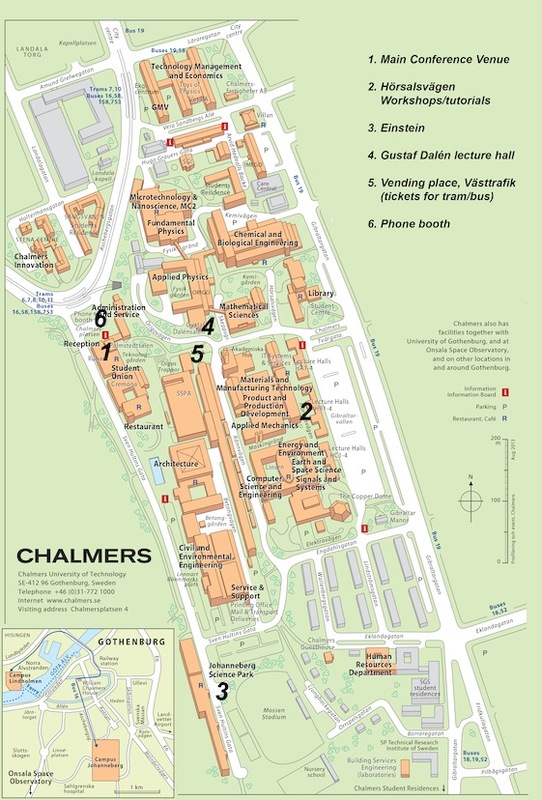 The following map of the Campus Johanneberg with all important places marked also exists in a high-resolution version (3.5MB JPEG image). The workshops and tutorials (26–27 April) are at item 2 on the map. Look below for a detailed overview of Hörsalsvägen. The main conference sessions (28–30 April) are at items 1 and 4 on the map.